Do you reflect that the Companions of the cave and the inscription were, among Our signs, a wonder? Spiritual retreat is valued across all traditions. For obvious reason the nature of it, duration, how it is conducted has evolved over period of time and it varied in various cultures and traditions. Yet one thing remained unchanged that human being need to turn away consciously from the ordinary at times in order to prepare the journey towards the extra-ordinary. All major eastern religion and even in three major Abrahamic traditions we find that the Sunnah (pattern) of the Divine Messengers such as Moses, Jesus and Muhammad, perfect peace and blessings of God be on them always have spiritual retreat as corner stone of radical spiritual transformation of these greatly illuminated beings. The forty days and forty nights of Moses at Mount Sinai, forty days of Jesus in the wilderness and prolonged solitary retreat of Muhammad in the cave Hira at the Jabal Noor are all solid examples of the need of retreat for individuals. One of the major function of spiritual retreat is to break away from usual patterns and habits, and in a time where we live extremely mechanized life-style with tremendous amount of demand from work and society, the value of spiritual retreat even for a short period of time has its place and need without doubt. It is one of the forgotten sunnah (pattern) and ways of the Messengers and Prophets who showed us the path how to be in the world yet above it, and spiritual retreats are a re-establishing exactly that value. Spiritual retreat is not for a permanent renunciation of the world, but intended to experience even for a sanctified time for total turning towards God, a complete alignment towards spirit which is our original and eternal nature. the domain of true reflection. Day before yesterday I was watching this documentary made by BBC that featured modern retreat experiences of 6 British individuals who volunteer to attend an Islamic spiritual retreat in Spain for 4 weeks. They involve themselves in a course of spiritual self development, the Islamic way and conducted using some of the Sufi methodology (organized by Sidi Hamza's fuqara of Qadiri Boutchich tariqa). I have to warn you that this 3 part documentary that was aired in 3 weeks are quite long and may consume a lot of time for you (in total 3 hours). I was personally very captivated by the documentary and eventually a good portion of my day was gone in watching it. But I enjoyed it immensely, particularly the experience of transformation that was documented, how people react to spiritual practices which they are not familiar with, the understanding of others, how the doubt and faith rises and dissolves and all of the human drama that comes along it. The participants featured in the retreat came from diverse and intersting backgrounds including agnostic, practicing traditionalist muslim and non-muslims as well. It was very interesting because the retreat was mostly done using some of the Sufi practices and at the same time almost all of the participants had no introduction / training in Sufi Path and its Way. Thus you can see the human challenges that arise in spiritual journey both for individual and collective. Muslim Aisha Alvi is a 31-year-old single law graduate from Cheshire whose work specialises in Islamic law. At 14 she campaigned successfully for the right to wear the hijab at school. Khadejah Begag is a 32-year-old married mum-of-one. Formerly Claire Sullivan, she converted to Islam 10 years ago and married an Algerian man. But she worries she is losing her faith and is fed up with abuse since 9/11 and 7/7. Sarah "Pom" Jenkins is 28 and single. She is a psychotherapist in London, was brought up a Christian but is still seeking a faith, having tried alternatives including Kabbalah. The group was be led by scholar Abdullah Trevathan. He lives in Spain but also works as a lecturer at the University of Roehampton in Twickenham. Azim "Han" Ziaee is 34, single and an advertising salesman from Birmingham. He was born into a Muslim family but rebelled from an early age. Muddassar Ahmed is 23, single and from East London. He leads a hectic life running various businesses and is rarely off his mobile. He sees Islam as a chore rather than a conviction. Divorcee Simon Yarrow, 36 is a scuba diving instructor. He describes himself as a "questioning agnostic". He beat cancer in his twenties and prefers rationalism to religion. 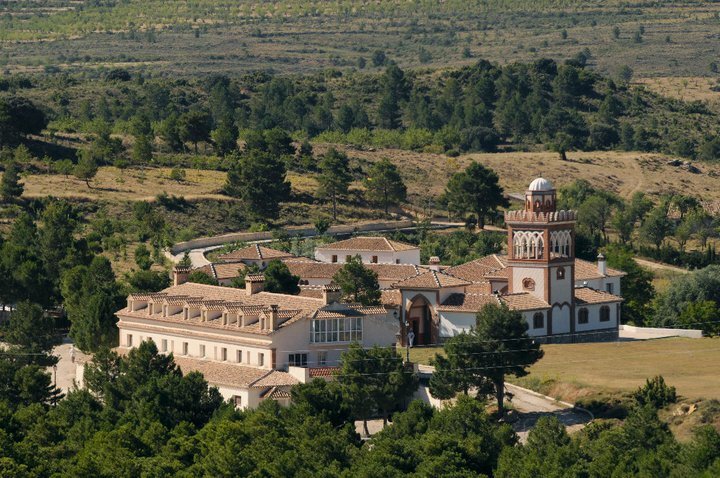 The first episode begins with the 6 British individuals arriving at their designated retreat place at Andalusia, Southern Spain (Alqueria de Rosales). Episode 2: After last week's gentle introduction to this observational series about an Islamic retreat in southern Spain, and the six people spending time there searching for spiritual enlightenment, things start to hot up. They're an amiable bunch, but as their different personalities emerge, so does the friction between them. It's becoming clear that Muddassar is resisting the whole experience, refusing to disengage from life back in the UK until he's almost surgically removed from his mobile phone. Aisha, meanwhile, has such a prescriptive take on Islam that she spends her entire time pursing her lips in a disapproving fashion. But top moment goes to agnostic Simon, who's so rational about everything that he's struggling to engage with his mystical, spiritual side. Just as he's explaining to the camera why he thinks he didn't need to visit the retreat to get religion, there's an almighty crack of thunder that has him (laughingly) begging for forgiveness. "Why are you in such a hurry?" asked the Rabbi. "I run after my life" the man replied. "And how do you know," said the Rabbi, "that your life is running before you, and you have to hurry up? Perhaps it is behind you and your only need is to stop." 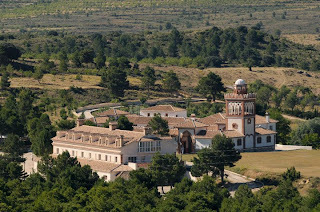 Its worth reminding while watching this documentary that its not necessarily a very ideal picture of a sufi retreat. First of all it was filmed, which immediately makes it not really a retreat, there were obviously people who were not in a spiritual orientation necessarily. Also one very serious component that was missing in this retreat is the (pre) connection between the leader who is leading the retreat and one who is participating in the retreat. The heart connection, soul trust and complete surrender to the guide of the retreat is a quintessential element of the retreat which was missing. A retreat often as it happens in modern day is that people pay money to get away from busy life. A Sufi retreat is not a holiday, but in classical sense only those with a soulfull yearning for God, for Truth is guided by a master by recognition of the genuine yearning of the soul is sent or guided to a retreat. A deep burning desire to be alone with the Alone is the only pre-requisite and indeed with the grace of God then the retreat is guided and made a catalyst for radical transformation of heart and soul. So those who watch this BBC documentary must not take it was an ideal retreat but I wanted to share this documentary because it is a hint along the pathway and a taste of contemporary spiritual practices as and how it is preserved in our time. It also somewhat provide a hint of sufi spiritual retreat, even though ideal sufi retreat can be much more intense, a complete withdrawal from the world for 40 days and 40 nights, could also involves prolonged sitting with the guide and uniquely assigned inner work etc. What I am reminded from the documentary that the person who lead the retreat must have to be very very knowledgeable, both heartwise and intellectual wise. The removal of doubt with sincerity requires the ability to flow with the doubter's perspective and one needs to have expansive knowledge and wisdom to do so. 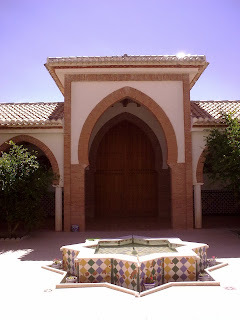 For example in this documentary a practicing muslim who was questioning some of the Sufi practices which she wasn't familiar with, and didn't know that they were integral part and practices within the tradition of Islam - and when she opened her doubt, the guide needs solid knowing regarding the foundation of the faith as well as the connection between its mystical practices and how they relate to the tradition etc. This element was missing and a part of the debate that comes up during the retreat among the participants were coming exactly from that lack of knowledge and wisdom. Nevertheless its a lovely documentary to watch, a good opportunity to peak what constitute a sufi retreat (without generalizing it because it can vary tremendously depending on the teacher, guide, student, need of the time / moment). Hope you will enjoy the documentary. The links of the video are provided in highlights.